The Studio Artist Vectorizer takes a raster image and converts it into a flat color vector representation. The vectorization process can either try to mimic the source as closely as possible or can be configured to create a wide range of different stylistic effects. 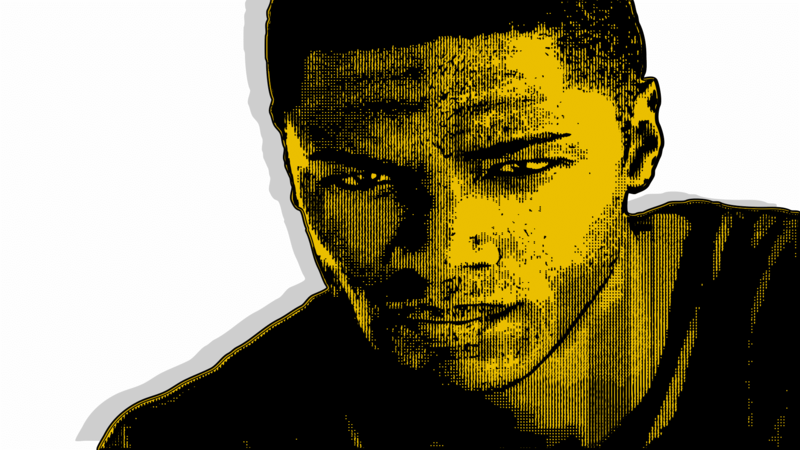 The vectorizer output can be inserted as a rendered raster image into the current canvas layer, as bezier paths into the current layer’s bezier path frame, or output to an external encapsulated postscript (EPS) file. Pressing the Action button renders the vectorizer effect to the current layer. 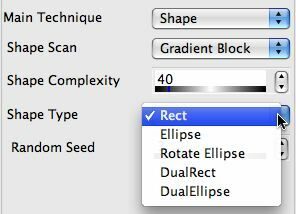 If the ‘Path : Path Layer Record Options : Vectorizer’ menu flag is checked then when you press the Action button the generated bezier vector regions will also be inserted into the current layer’s bezier path frame. To output an eps file from the vectorizer you would run the ‘Action : Generate EPS ; with Vectorizer’ menu. EPS files can also be generated from a Paint Action Sequence (PASeq). Both Vectorizer and Paint Synthesizer action steps can generate eps vectors in a PASeq. 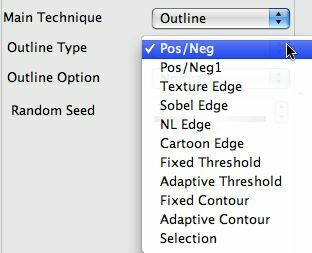 There are 3 different Editor control panels for configuring vectorizer presets. They are the Generation, Drawing, and Composite control panels. The Generation control panel parameters determine the source, cleanup filtering, and technique options for the vectorization process. 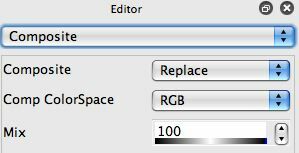 The source for the effect can be either the source image or the current canvas layer. The different filter, prune, and clean options help to eliminate the effects of noise and spurious small or thin regions. 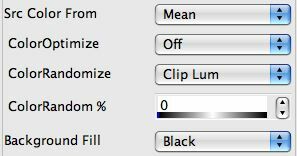 If you are vectorizing an image that already consists of flat color regions and you want to preserve the shape of those regions as closely as possible then you should turn off these filter and claenup settings. There are 4 main Techniques. Image is the most commonly used technique. 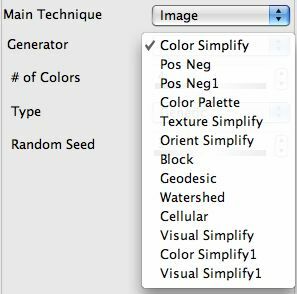 It provides a number of different Generator options that all generate different stylistic effects that process the entire source image. Shape generates vector effects based on specific geometric effects. Outline generates various outline effects and will not process the entire image, only the areas associated with the desired outline effect. 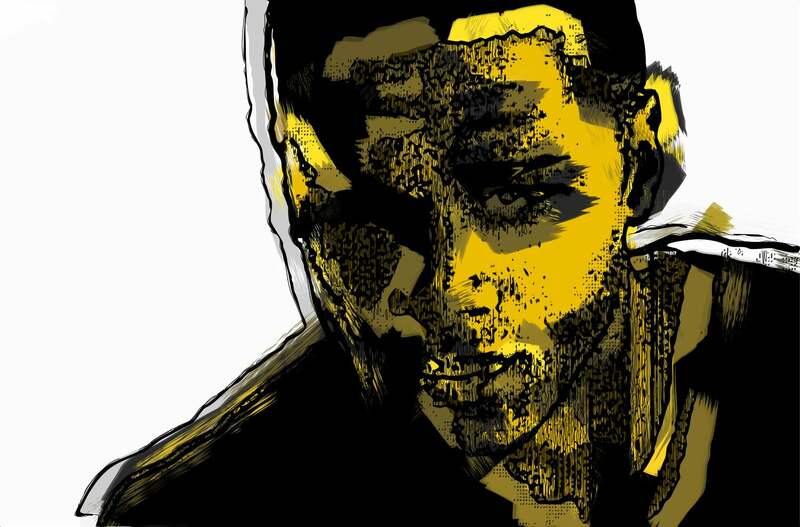 So you could composite different outline effects on top of an existing canvas. Flat Input assumes the input is already composed of flat color regions and just converts those existing regions into eps vectors. 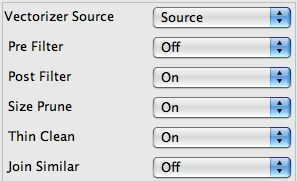 Typically you would turn off the filtering and cleanup options if running the Flat Input technique, since these options would change the appearance of the flat regions you are converting into eps vectors. and various eps options that determine how the eps vectors are generated. Version 4 also includes 2 different rasterization options for rendering the generated vector regions into the raster canvas. Pixel Raster Fill is the original hard edged vector fill approach used in previous versions of Studio Artist. Vector Antialias is a new anti-aliased drawing mode that can give smoother edges and also better represents what the eps output will look like. The composite control panel is new in version 4 and provides the standard Studio Artist compositing, color space, and mix options. These controls specify how the vectorizer output is composited with the existing canvas layer.